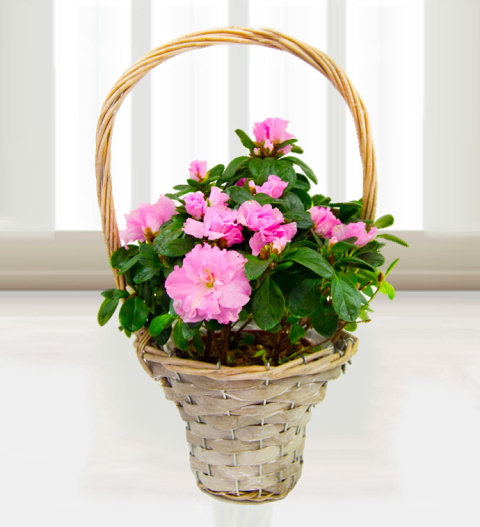 A gorgeous Mother's day flower basket with fragrant spring pink azaleas, perfect to give to Mum this Mother's Day. The gift basket is gift wrapped and beautifully presented with a FREE box of Chocolates. Chocolates may contain nuts.